Digital health presents a unique set of challenges and opportunities for those operating in this competitive and demanding market. The pressure to innovate and advance is immense, but so are concerns about safety, functionality, cost and privacy, to name a few. When clinical insights combine with IT brilliance the results can lead to fascinating health innovations. Radical new approaches take the old adage ‘prevention is better than cure’ to new levels as wearables and mobile devices are able to monitor, analyze and diagnose conditions. Against a backdrop of lightning-fast technological innovation, fierce competition and stringent regulation, how is a tester to cope? Another adage, ‘evolve or die’, springs to mind! The traditional testing function is what needs to evolve in this sector perhaps more than any other. The QA approach to testing must now make way for Quality Engineering, a new way of tackling quality control which focuses on improving the inherent design of the product throughout the SDLC. Why? Because traditional testing, performed at the end of the SDLC is out of its depth in the new era of digital transformation. We’ve identified the following top ten issues affecting digital health testing, which QE enables enterprises to track throughout the design and development process. 1. 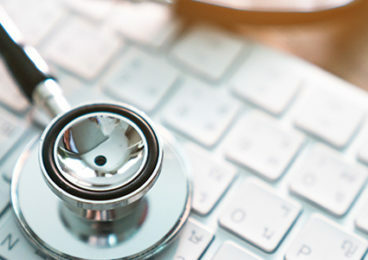 Digitization – The profession as a whole relies increasingly on digital records or Electronic Health Records (EHR), but consistency is lacking and the maturity of digitization initiatives varies. 2. Telehealth – Current estimates suggest that telehealth – health management using the remote exchange of data between patient and clinician – can reduce emergency hospital admissions by at least 15%. As telecoms protocols advance towards 5G, we are likely to see this percentage rise further. Application performance management will be crucial to successful implementation. 4. Supporting affordability initiatives – Making brilliant digital applications is tricky enough, but digital health providers also need to ensure they’re cost effective and scalable. From a testing perspective, a stable and sustainable ecosystem is crucial to assuring quality. 5. 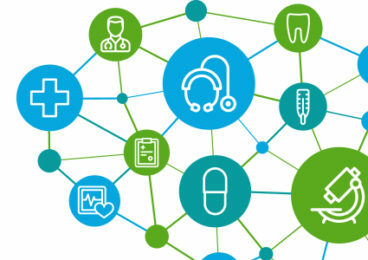 Supporting the IoT – There’s a significant opportunity for the IoT to improve patient care. Last year, healthcare providers spent around 16% of testing budgets on IoT solutions while a further 17% went to mobile solutions (World Quality Report 2016). IoT testing will require teams to re-focus efforts to ensure ground truth validation. 6. Data-driven digital health – Data is the lifeblood of digital health initiatives. Data transmission, collection and processing are becoming exponentially more important as wearables increase in popularity and 5G comes closer to reality. 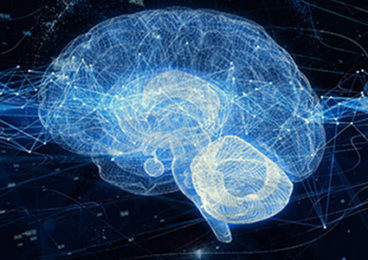 Data analytics will play a decisive role, so providers are already investigating options for supporting AI to improve analytical functionality. 7. Integration issues – The sector already has multiple data sources, protocols and devices to assimilate. As IoT and data analytics mature, expect disparate data streams to integrate to enable cutting-edge analysis. How this all comes together in terms of app functionality and performance is hotly debated among testers. Indeed, the World Quality Report 2016 ranks integration as one of the most challenging aspects of digital implementation, with more than a third of digital health providers citing this as an issue. 8. Next-generation interfaces – The new wave of digital health QE / testers will need to be equally at home with traditional interfaces, such as the graphical user interface (GUI), as well as next-generation chatbots and voice-based interactions. The ability to verify latency, accuracy and user experience is key to success. 9. Regulation – Navigating regulations such as the Medicare Access and CHIP Reauthorization Act (MACRA) or post-care treatment incentives, etc. requires an understanding of the legal complexities and opportunities in digital health. Our answer: try a BizDevOps approach in which design and development teams invite compliance experts to join them in the early stages of development. 10. User experience – There is an increased drive to focus on UX in addition to functionality. This doesn’t just make sense from a competitive standpoint; better user experience also translates into better healthcare outcomes. For instance, a clinician might be able to see more patients or use their time more effectively in other ways. For digital healthcare providers, this means UX concerns need to form a bigger role in the design stages, while application performance should be an ongoing quality concern. Digital healthcare providers are working hard to improve health outcomes using some of the most exciting and innovative methods we’ve ever come across. (And that’s saying something given our 12+ year history!) However, there are no bolt-on solutions for keeping track of these evolving issues that can trip up your digital initiative. Here at Infostretch, we’ve got your back. Whatever stage your initiative is in at the moment, feel free to contact us for some laser-focused guidance on how to accelerate your project. And watch our recent webcast on the Testing Strategy for Healthcare Software – Learn how others are accelerating their testing cycles and finding the best strategy.